The Finance Department took a day away from their offices to do what? Why, to visit other museums, of course! 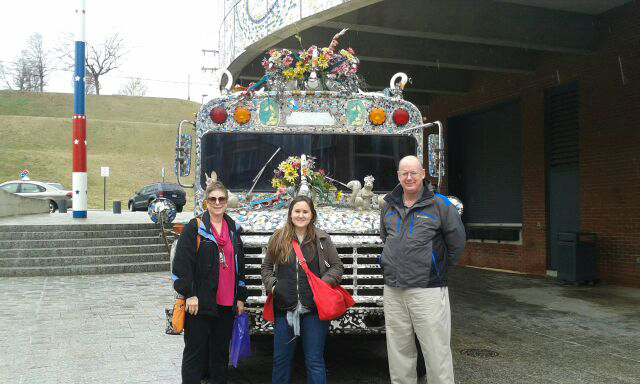 Cherie Nichols, director of budgeting and reporting, Lydia O’Connor, finance assistant, and Earl Richards, senior accountant, with the art bus at the American Visionary Art Museum. Every year as a treat for completing our annual financial audit, The Phillips Collection finance staff retreat on a post-audit outing. This year we decided as a group to travel to Baltimore and visit the fabulous American Visionary Art Museum before heading to the Baltimore Museum of Art for lunch at Gertrude’s and a preview peek at the newly returned Renoir painting On the Shore of the Seine (c. 1879). 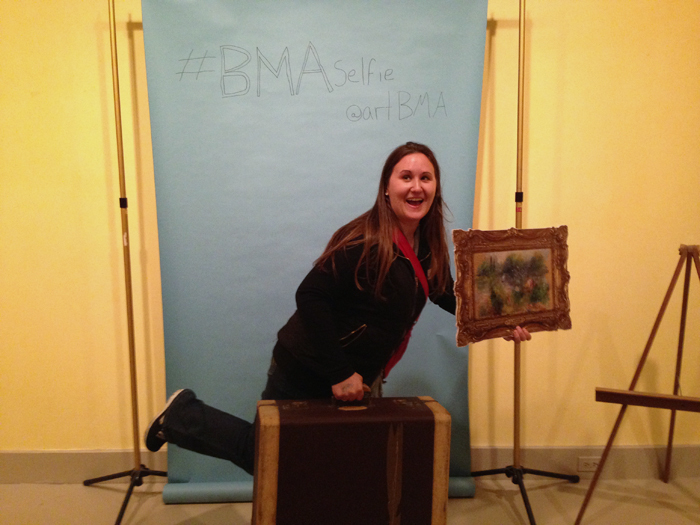 I couldn’t resist running away with the Renoir, and the cameras caught me in my enthusiasm! Despite the busman’s holiday, we returned to the Phillips refreshed and ready to face another fiscal year!